There are essentially two types of art: art for art's sake and art as career. Art for art's sake isn't going away anytime soon and never has been in danger of automation. This, pure expression, will survive. Art as career, however, is doomed. What's more, its doom is impending and imminent. If your plan in life is to make a career out of commissioned art, as a professional musician, voice actor, cover model, pop writer, or asset designer, your field has at most 15 years left. In 2017, I felt this was a liberal prediction and that art-as-career would die perhaps in the latter half of the 21st century. Now, just two years later, I'm beginning to believe I was conservative. We need not to create artificial general intelligence to effectively destroy most of the model, movie, and music industries. Many things are technologically possible and would save us money, but we don't do them. I think the same will hold true for replacing all human models with digital images of models. Some jobs in the modeling industry will be lost to hyperrealistic artistry, but certainly not all and perhaps not even most. Whether it goes one way or another, it's of little consequence since the vast majority of "models" make very little or no money from doing gigs. Their careers are usually low-paid and short, and during them, they live in poverty (e.g. - four "models" sleeping on cots in a studio apartment in New York City) and have to do mundane side jobs (waitress, bartender) to pay their bills. If all modeling jobs were automated, the economy wouldn't even feel a ripple. Great post. Although media synthesis is something that I've been aware of for a few years now (2016-ish, maybe? I'm sure it's not something that I was aware of as a baby futurist back in 2012 or 2013), it's something that I've only been moderately excited about and has always been on the backburner for me, far as the futurist landscape goes. After reading this thread, though, I'll have to move it higher up the chain of command and start actively paying more attention to it. The malleability of reality is a very interesting concept, and goes well beyond simply allowing regular people to create complex forms of media by themselves (although that by itself is plenty exciting). And yeah, the idea of media synthesis has certainly become more mainstream since 2017 or so. In fact, there's a currently airing anime called 'Carole & Tuesday' where media synthesis is one of the focal points of the story, focusing upon a future where almost all art is created by AIs. There's a few specific details that trigger my futurism autism (of the 'technology should have progressed more than it has' variety), and since only the first episode has aired it's too early to tell whether there will be a Luddite-ish "robots bad, humans good" moral, but I'm appreciative towards the series regardless for bringing the concept of media synthesis a few notches closer to mainstream status. 4. Regular people. In other words, the technology has become mainstream enough - in terms of either awareness, or actual day to day use - that you can take for granted that, if you bring up the subject with anyone you pass by in the street or come across at the store, they will have heard of it. At the moment, as with many technologies that futurists of the 2010s have been reading about throughout the decade, media synthesis is in a transitory period between 3 and 4. It was pretty common knowledge amongst futurists during the 2014-2016 region, but something that was rarely discussed outside the digital hallways of places like KurzweilAI or FutureTimeline. The concept started to become known amongst anime fans come 2017 thanks to websites that were able to randomly generate anime girls, and DeepFakes brought media synthesis into a sort of pseudo-mainstream status, with farmers in their 60s and 70s who haven't played a videogame since Pac-Man at least somewhat aware of the way things are changing thanks to warnings from Fox News or CNN regarding DeepFakes. starspawn said that GPT-2 might have the data scaled up by 100x to 1000x by the end of this year, and that would be really exciting to see. That's probably an understatement, actually - a coherent novel produced entirely by an AI would probably be the single biggest milestone in the field's entire history. If media synthesis was a nascent technology around 2014 and 2015, and a technology that was advanced enough to be useful in a limited amount of cases during 2017~2018, then a fully coherent novel or novella in 2019 would see the field begin to dip its toes into 'mature technology that has very broad uses' waters. It would be a fantastic coda for the 2010s to begin with AI that was no more impressive than SmarterChild - a dumb, goofy little toy that wasn't good for much more besides giving middle school and high school kids a laugh - and end with an AI-produced novel. I'd say what we will see in the not-too-distant future won't be so much the end of artist, musician, movie-maker, poet, writer, cartoonist, etc. as professions, but rather the end of the need of technical talent. Top talent will still be appreciated; it's all that talent below the 99.9 percentile that won't be necessary. E.g. everyone will be able to craft a very high-quality poem to read at a poetry slam, that perfectly fits their experience and mood. People will want to know who the artist is, still. They will look them up on social media, scrutinize every post like a stalker. Completely talentless people who nontheless lead interesting lives will become their targets and become celebrities (who have no chance of becoming one at present). I guess another way to look at it is: IQ and talent will matter less and less, up to a point. Grit, taste, and who a person is (the life they've lived, their perspective) will matter a lot more. It's already happening, in fact -- many celebrity musicians aren't very good natural singers (their songs are autotuned) and don't even write their own songs. ^ That's something I wanted to mention myself. But my rambling had dragged on for about 3,000 words by that point and I had to end it somewhere. Once more, I've said it somewhere else the exact same sentiment: when creative jobs begin going, it's not going to be the creators and publishers on the dole first. It's going to be the salaried programmer, the keyframe artist, the cover model, the technical writer, the sound mixer, some of the thousands of names you see scrolling on animated feature credits. Take, for instance, the video game industry. If everything develops the way we think it will, then at least 60% of the people involved in creating a triple A video game won't be needed by 2029. There won't be need for so many coders, graphic artists, asset designers, voice actors, musical producers, and more. What you'll be left with is maybe the top 40% of necessary talent— the lead designers, the directors, some of the quality assurance, and maybe a few specialized personnel for tasks that even state-of-the-art AI cannot consistently handle. Likewise, you also see this in animation. Take a bogstandard anime series. Anime, IIRC, costs around $100,000 per episode (3x cheaper than an episode of a Western cartoon), and a lot of that is due to all of the moneysaving techniques that now defines anime (e.g. the limited animation, stock expressions, cookie-cutter character designs, overuse of CGI, obscuring mouths when characters are talking, etc.) A lot of the actual animation process is outsourced to budget studios in the Philippines, and the limited budget means strict deadlines— stricter than you might see in Western shows. Thus, when shows first air on television, they're often very rough looking. It's not until months later with the Blu-Ray releases that they're effectively cleaned up. Animators on these shows are underpaid and forced to work very long hours, so they're rarely bringing their A-game. This is a result of Japan's "Lost Decade", which is when anime budgets really slumped and it turned out that audiences didn't care (factoid: it's not like Westerners were any better; Western cartoons had even less animation than anime back in the Hanna-Barbara Days of the 1960s and '70s). The Great Recession didn't make things any better. The move to digital animation in the 2000s wasn't done because creators loved computerized cartooning— they did it because it was cheaper, quicker, and less labor intensive, even though it removed a lot of the "soul" of the shows they were working on. Of course, salaries didn't increase in tandem. Now imagine what it might be like ten years hence. Algorithms needn't be paid at all— it's just a matter of upfront costs of the software (if there are any) and the costs of running the computers themselves. I can't be so excited as to say that they'll be able to generate entire shows in ten years, but I imagine they'll be able to automate so much of the process as to only require a skeleton crew for the same budget and quality of the product. There's one movie I saw recently (after learning about it from RebelTaxi) called Next Gen, and one of the most impressive aspects of it is that it is Pixar quality animation done in Blender, a free program you can download right now. When I learned this, one of the first things I thought of was "What if someone used Blender or an equivalent to automate the production of a movie?" You'd still need a lot of computing power to render all this, but consider that no one could do that 20 years ago even with top of the line computers. Nowadays, individuals with beefy rigs can put together shockingly good art pieces, though it still takes quite a bit of time. Budgets won't go down; more will be repurposed for marketing. 1: I'm sure you heard of it before then. It was very early in the year when I created the dedicated thread on it, and I had already tossed the idea around since around 2013 by that point so I'm sure that at least I mentioned it before then. 2: Ah, the history & development of futurology— one of my favorite topics to discuss. It boggles the mind to realize how much has happened in the past ten years. Maybe on the KurzweilAI/MindX forums, you could see people taking a lot of these topics seriously, but even there you had such skewed perceptions of how long it would take before we would see so many technologies we casually discuss today. I remember going on the KAI forums back around 2012, 2013 or so and seeing quite a bit of pessimism that things were happening so "slowly" (though to be fair, that was probably mostly from MissKaioshin). In regards to media synthesis, I can definitely tell you that while I considered the possibility of it being a practical technology as far back as 2013, I definitely did not expect it to mature so quickly. Perhaps "mature" is the wrong word since it's still comparatively an embryo compared to where it will be. But it can't be overstated just how pathetic a lot of information technology was coming into the decade and how massively deep learning assisted it. 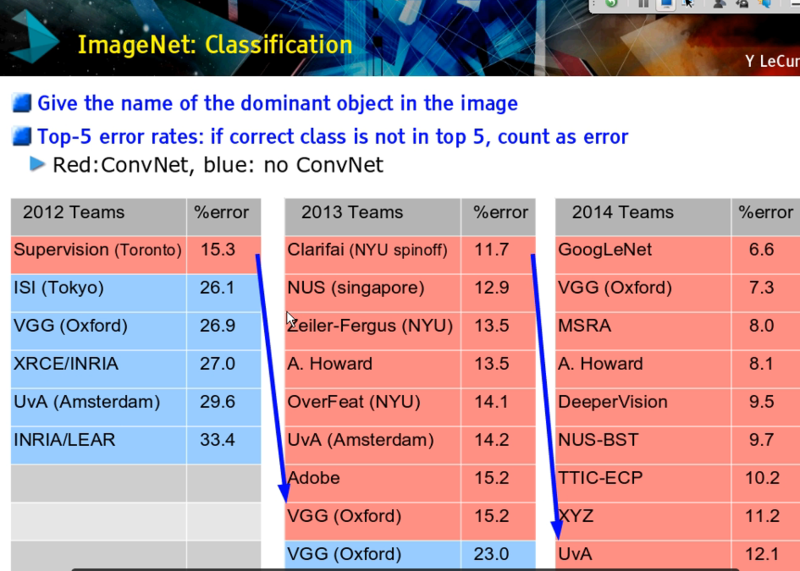 I recall one particular graph that showed just how big of a leap a deep learning-based system was over another one when it came to image recognition, and that was in 2012. 3: I said it elsewhere: Joe Shmoe and Jane Doe live 10+ years behind futurists. If it's not beer, football, crime shows, or blockbuster movies, they don't really pay attention save in their areas of interest. To them, the world of 2019 really is no different than 1999 but with smartphones and better CGI. They hear "AI creating media" and their minds immediately add 981 years to the calendar. As a result, they're still in the mindset that their kids, grandkids, great-grandkids, and so on will be doing "respectable" jobs that they can understand. There may be some things arising like robot civil rights movements, jet-powered pencils, & space miners going on strike, but the world of tomorrow isn't that different from the world of today.